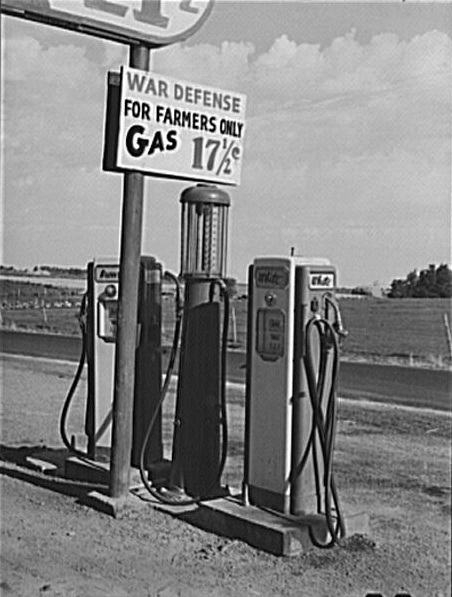 Gas Station and Rationing Sign. Twin Falls County, Idaho. July, 1942. Photo by Russell Lee.